As the cost of utilizing fossil fuels continues to unfold – i.e. oil spills devastating wildlife habitat, increased carbon released into the air, growing occurrences of asthma in metropolitan areas – cost-saving renewable energy sources look better and better. As the price of the installation solar panels continues to fall, this is becoming an increasingly attractive option. Yet homeowners have to put up with unattractive solar panels with no regard to aesthetics. Until now. 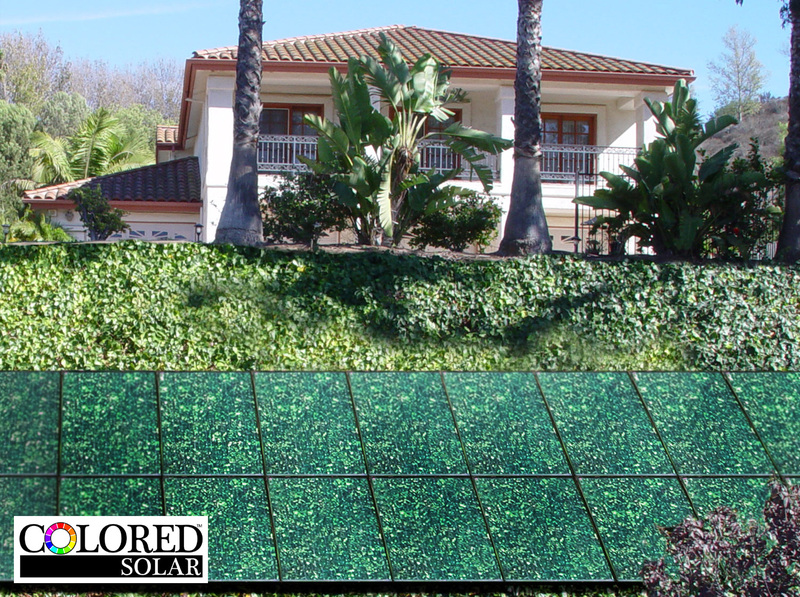 Colored Solar™ of Ventura, California has introduced colored solar energy systems that give architects and homeowners beautiful choices that can blend in or enhance the style of their homes. 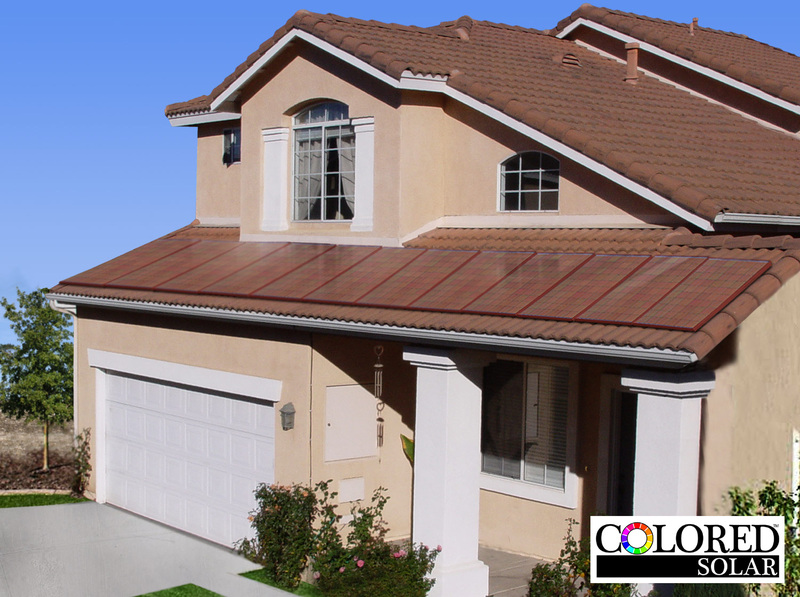 Their Stylish Solar Panels™ offer game-changing aesthetics, appearance, applications, enhanced cool roof effects, and technological components. And they’re equally efficient to conventional solar panels. This young company is part of the business incubator Ventura Ventures Technology Center. Like so many other innovative products, the impetus for this idea came from a problem needing a solution. When Mike Mrozek, now the company’s CEO, wasn’t allowed to put solar panels on his home five years ago because his Homeowners Association didn’t like the look, he began researching how to add colorization to solar. “There’s a big stumbling block with putting solar photovoltaic up because it doesn’t look aesthetically pleasing,” said Paul Wise, Colored Solar’s founder and Chief Operating Officer. HOA’s are into what their neighborhoods look like, says Wise, and solar panels just don’t fit their picture. Colored Solar’s solar modules can match a variety of different building environments. They’ll fit equally well with copper, tile and/or metal roofs. The company can even create round solar displays into hillsides. These are high efficiency, high quality solar panels. Their high-transparency, low-reflective, military grade, tempered solar glass is 25 percent thicker than industry standards, providing superior durability. And they’re thoroughly certified. The company began testing at the National Renewable Energy Laboratory, part of the Department of Energy in Golden, Colorado two years ago. In 2012 they received their Intertek UL1703, the California Electric Commission certification, the Performance validation by U.S. Department of Energy, NREL, National Center for Photovoltaics (NCPV) and a few others. An American company, 95 percent of the components Colored Solar uses are made in the USA. They’re the youngest certified module manufacturer in the United States. Wise says that women are the majority of who purchases solar these days. And aesthetics are a key reason why they haven’t taken to solar, he said. “We’re trying to break down the adoption barrier for solar pv,” said Wise. “We’re trying to make it prettier, more acceptable and more adoptable to more people,” he said. The company is rapidly making a name for itself. It recently helped CalTech get off the grid with its Solar Decathlon project and Stanford asked for their help as well. Power Green L.A. was able to generate power completely off the grid with Colored Solar’s help, running drill guns and other equipment totally by solar power. Architects from Georgetown University, Catholic University and other schools – Team D.,C, (District of Columbia) – plan to incorporate colored solar into their project designs. 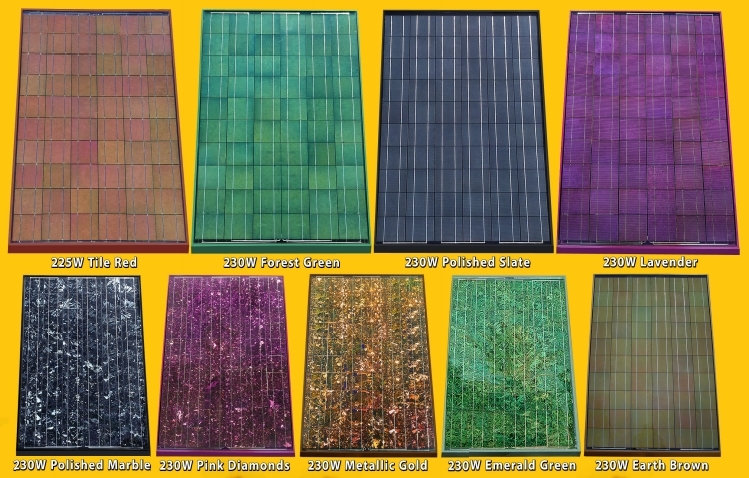 Colored Solar offers nine stunning styles of solar panels ranging from greens to blues to reds and purples. With performance comparable to standard solar panels, they come with an industry standard 25 year, 10 year workmanship warranty. A solar module should last 40 to 50 years on a finished roof, said Wise. “As long as someone doesn’t break it, solar panels will be up there (working) for 100 years, he said. Being new and innovative, these beautiful solar panels are pricier than regular photovoltaics. They’re custom made right now, says Wise. But the company is growing. With large construction projects that request color solar panels, a discount is available. And the company is establishing distributorships, making the products more accessible. The important thing, says Wise, is that consumers now have options. “There’s an American company that makes color solar modules out there that are beautiful (and) that work great,” he said. 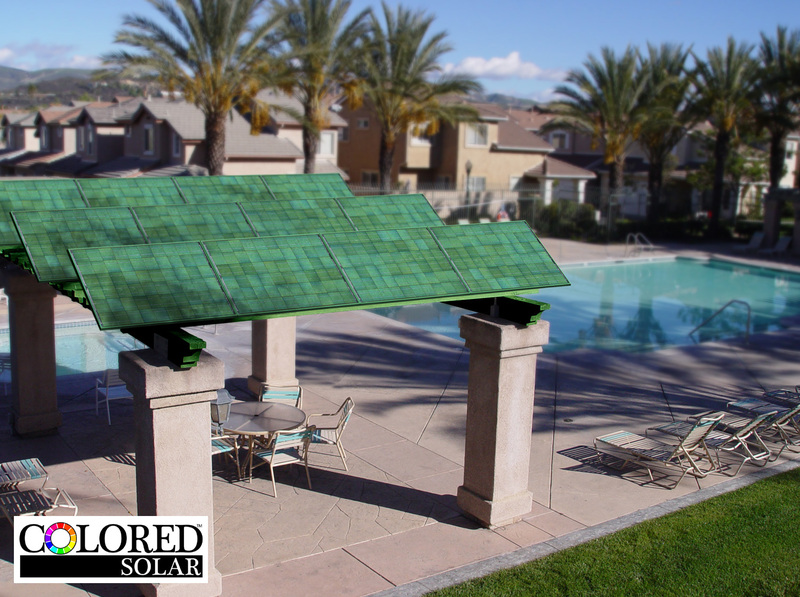 To learn more about Colored Solar or to find a distributor near you, go to ColoredSolar.com.